Join us in a night of celebrating food, community & art in our local community garden. A light dinner will be cooked with ingredients from the garden pantry al fresco style. 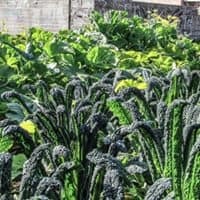 Guests are encouraged to come and explore the garden and it’s offerings and see how their compost is produced on a mass scale from the manure of the Thomas St horse Stables to the food waste of local cafes and leaf matter from a nearby landscaping company. There will also be live acoustic music & an interactive art installation from friends of the garden. 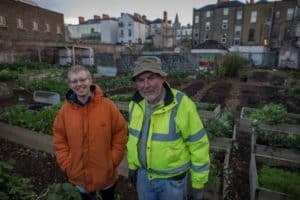 When Tony Lowth first saw the back of NCAD he didn’t see dereliction he saw an opportunity to create a space for the community, a space where waste materials such as coffee grinds, seaweed and wood could be turned into resources to grow seasonal food locally. 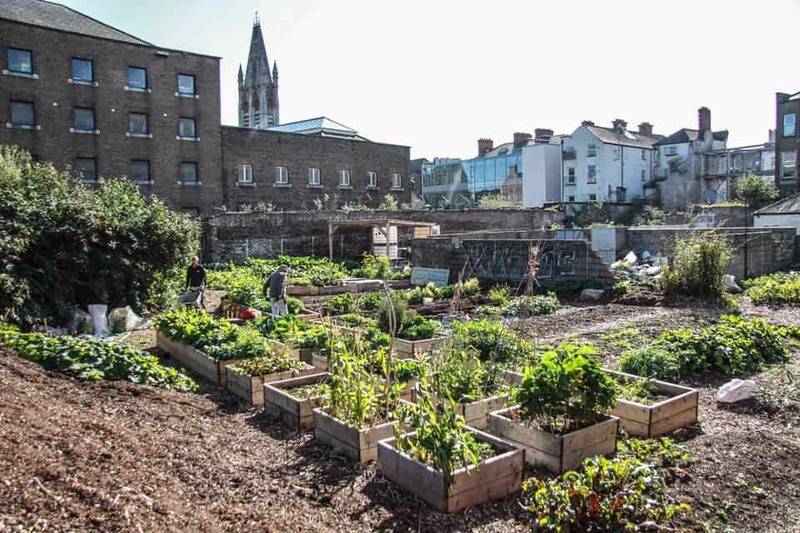 Since the opening of the garden in January 2014 it has evolved into the largest food growing garden in Dublin City Centre. Decoy is one of the two artists joining us on the night he is based in Dublin having worked in New York and Germany. 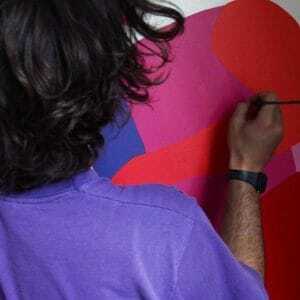 He has worked alongside artists such as Bjarne Melgaard, Siri Berg, MASER and SOLUS. His recent exhibition showed in the Tara Buildings ‘Between one and the other’. Exploring simplicity in reoccurring forms in our monotonous lives. His work has been described as ‘eye candy’. 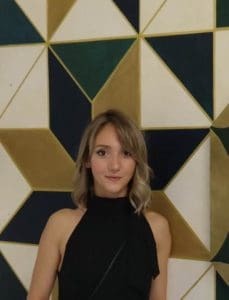 Buse Kanlikilic is the second artist joining us; a recent NCAD alumni she graduated from the masters program last year. Her work is expressed in various mediums includes paintings, prints, murals & tattoos amongst many other forms. She draws influence from her Turkish roots her next piece will be for Facebook in Dublin. 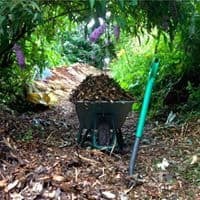 The NCAD garden is an entirely volunteer run project that has transformed a concrete derelict space into a lush urban farm and composting site. 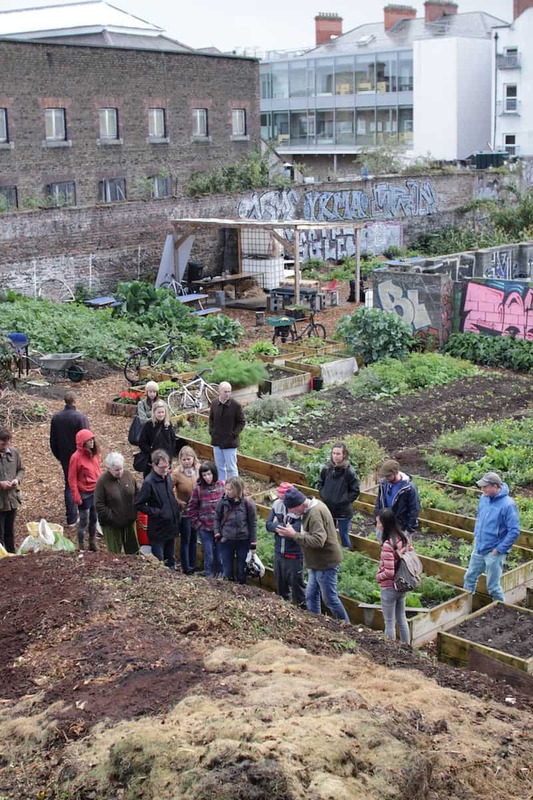 **This event takes place in the NCAD Community Garden which is accessed from Oliver Bond st, parallel to Thomas st, Dublin 8.